Firefighters proved they had a thick skin when they were called to assist a Rhino – suffering from toothache. The crew supported RZSS Edinburgh Zoo vets during the dental procedure in order to ensure the safety of both staff and the animal. Firefighters from Newcraighall fire station were asked to assist in the procedure earlier this month. They drew on their skills of searching collapsed buildings to safely manoeuvre two tonne “Bertus” into the correct position for the operation. The greater one horned Indian rhino, aged eight, has since made a full recovery. And Bertus is now back enjoying his favourite food of browse and veggies. 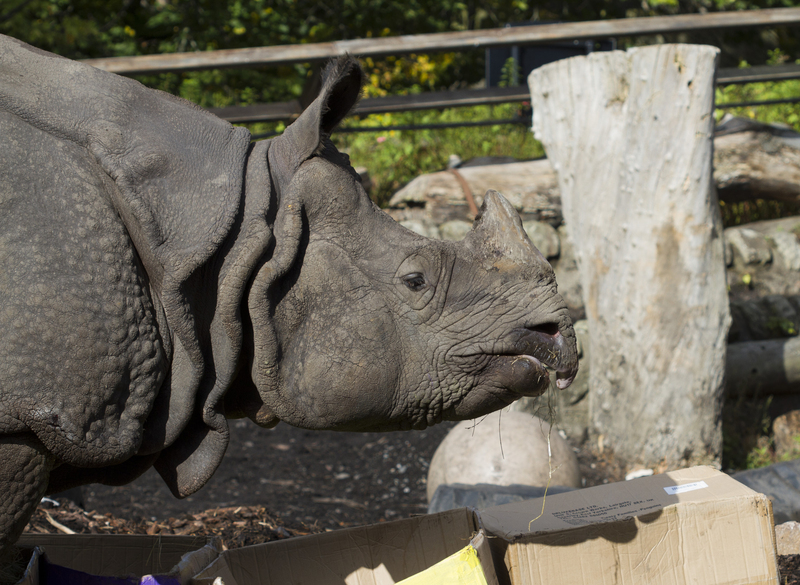 Station Manager Willie Pollard said: “Being requested to support RZSS Edinburgh Zoo in the moving of their rhinoceros is one of the strangest special services I have undertaken. “The task of safely moving an animal of this size clearly presents a number of challenges. “But, by jointly working with Zoo staff, we were able to formulate a plan which involved winching and pulling equipment using techniques normally used for either road traffic collisions involving heavy vehicles or in the event of a building collapse. Firefighters are skilled in safely manoeuvring large objects. They can be called to assist at road traffic collisions involving heavy vehicles or at collapsed building scenarios. 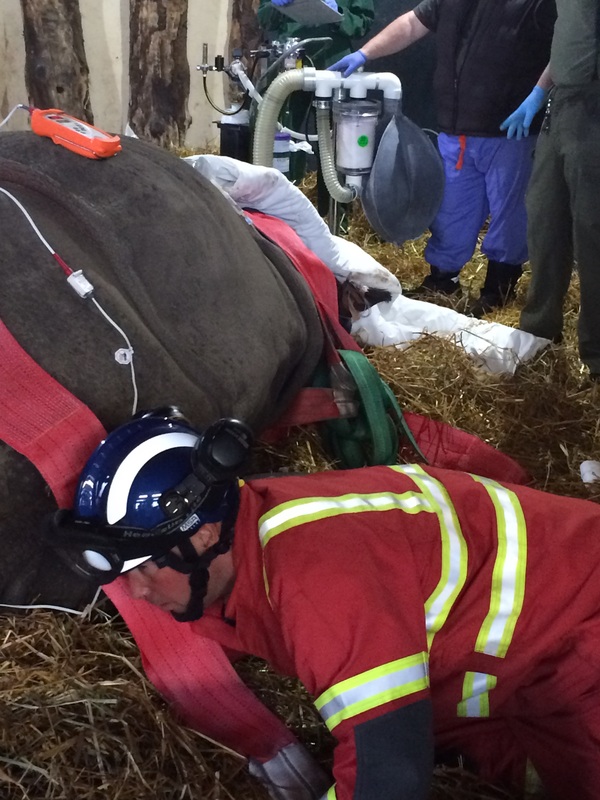 They can also be called to assist in the technical rescue of large animals such as horses or cows which are vital to the economy. Their intervention also protects the public from endangering themselves by trying to effect a rescue. 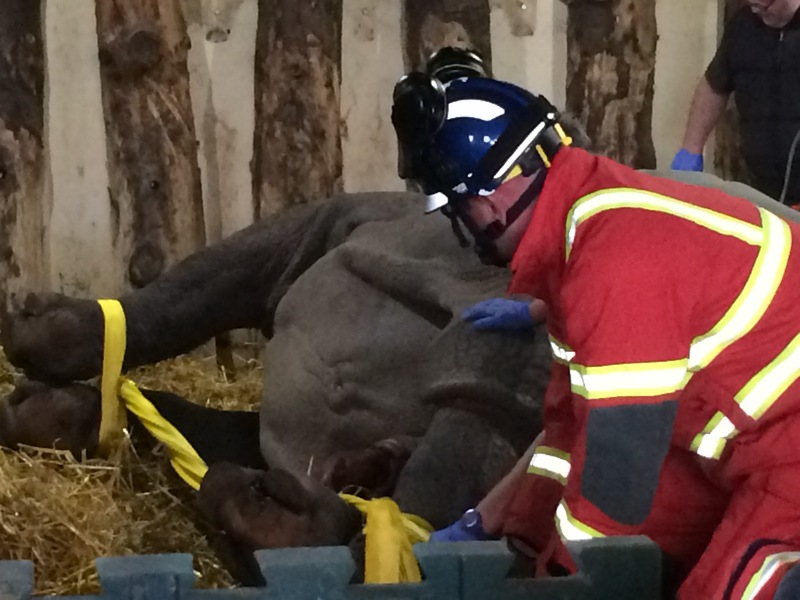 Simon Girling, Head Veterinarian at RZSS Edinburgh Zoo, said: “We are incredibly grateful for the help of the fire and rescue crew.